Few American business opportunities offer the charm factor associated with owning a bed and breakfast. If you’ve made the decision to purchase a B&B, it’s likely that it was influenced by a personal experience, and that it’s something you’ve become passionate about. As romanticized as owning a B&B can be, it’s important not to let that influence a purchase that may not be a good fit in reality. Running a B&B can be extremely rewarding, but it certainly isn’t for everyone. Doing so requires a personality that enjoys daily interaction with people. You must also be willing to live and work in (or very near) the same environment, and to handle issues that arise outside of normal business hours. If all of those things appeal to you, it’s still crucial that you do your due diligence to ensure it is also a good financial fit. As with any business, the numbers will tell the real story. It’s always best to retain legal and accounting assistance from professionals to accurately vet the business opportunity. As for the current state of the industry, however, current statistics on American B&Bs indicate a bright future. 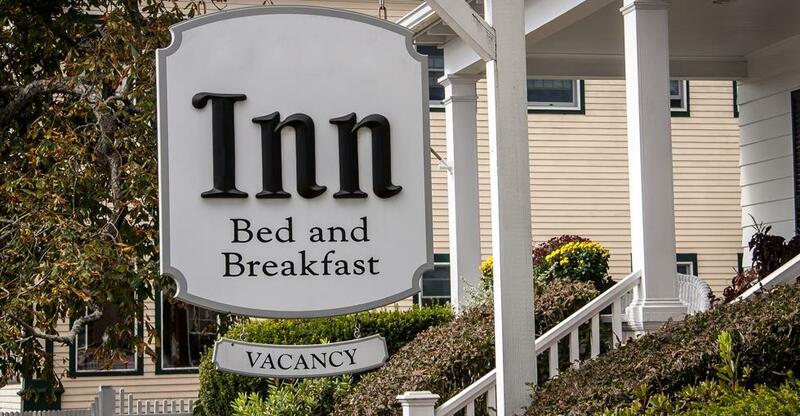 The average occupancy rate for American B&Bs is 43.7 percent, according to the most recent statistics from the Professional Association of Innkeepers International. Most B&Bs fetch an average daily room rate of $150. Seventy-two percent of B&B owners are couples, and 79 percent of owners live on the premises. When considering a purchase, it’s important to keep in mind that the B&B industry is not static, however. It will fluctuate and be impacted by economic, technological, social, and political forces. Once you’ve made the decision to move forward with your dream of becoming a B&B owner, the next decision you’ll need to make is whether you want to start your own B&B from scratch, or purchase one that’s already established. For many would-be owners, the wheels first start turning when they happen upon an established B&B that’s for sale. While it may not be an opportunity they have previously considered, they may be able to easily envision the potential benefits and rewards of owning such a business. One point of caution with an existing B&B is to make sure you look into the hotel/seller background to ensure there isn’t a negative reputation that will haunt you as the new owner. Location, location, location. This can be the most important aspect of your satisfaction and success as a B&B owner. Start by narrowing your search to the area where you’d like to own. The location should align with the overall vision you’ve defined for your B&B. For instance, if you want to own a rustic and remote location that has a seasonal peak and an off season, then searching in a major metropolitan area may not be the best fit. Get to know the competition. Once you’ve honed in on an area, start researching the competition. Compare the property or properties you’re considering against other comparable lodging offerings. Doing this will help you define any unique advantages you may have as well as any weaknesses that will need to be addressed to be competitive in your market. It will also help you set appropriate room rates. Check all licenses and regulations. Don’t commit to buying a B&B until you’re certain it complies with disability regulations, health and safety legislation, food hygiene laws and fire regulations. Make sure you have access to all documentation related to business insurance, employee contracts and anything else that will be relevant to ensure the business is meeting its legal obligations. You’ll also need to determine whether you will be able to arrange a transfer of existing licenses into your own name, or if you’ll need to apply for new ones. You will also need to consider the legal and licensing implications for any future changes you may want to make to the business, such as obtaining a liquor license, for example. Enlist the help of an experienced business broker. Find an expert that can provide you with a thorough list of the opportunities available and offer you insight into the industry in a particular area. Define your profit margins. It’s imperative to have a real and tangible picture of how much revenue your B&B must generate in order to meet the goals and lifestyle you envision as a business owner. Outline your financing options. Determine how much of your investment will come from personal funds and how much of the business endeavor will need to be financed. Using the guidelines above will give you the best opportunity to determine whether a particular ownership opportunity will ultimately be the right fit for you. While there will certainly be intangible rewards and benefits to owning your own B&B, doing your due diligence will go a long way toward making the experience align with the romantic idea you’ve envisioned.